Do I have to answer police questioning? In general you have the right to silence however if the arrest concerns a motor vehicle or you have witnessed a serious crime you are required to give your name, address and particulars of the incident to the police. The police may want to question you in what is known as an Electronic Record of Interview of a Suspected Person or ERISP. 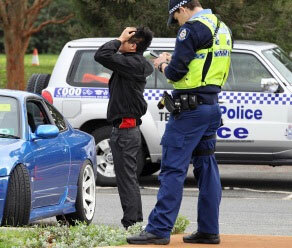 It is not advisable to speak with the police until you have spoken with Tony Danos Lawyers. You have the right to silence, that is you do not have to and can refuse to say anything. Providing false information can be used against you. You have the right to have a Tony Danos Lawyer present while you are being questioned. Do not sign any document other than a bail form. Always consult with Tony Danos Lawyers for advice specific to your circumstances. If you need legal representation Contact Us.